The Melbourne Symphony Orchestra is delighted to congratulate its Chairman, Michael Ullmer, on his appointment as an Officer of the Order of Australia (AO). The award recognises his outstanding service to the community through leadership and philanthropic initiatives in Australia’s banking and finance, arts and education sectors. “We are absolutely thrilled that Michael’s significant contribution to the Australian community is being recognised in this public and meaningful way,” said Sophie Galaise, MSO Managing Director. “Our Chairman is a passionate advocate for the arts and education. 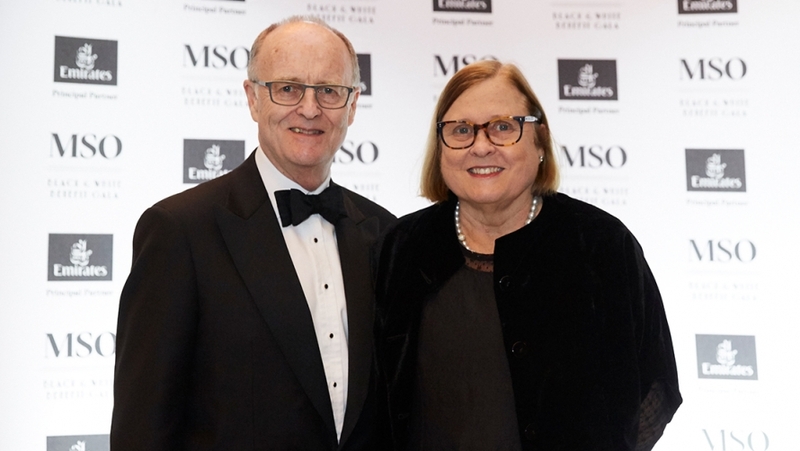 The MSO has benefited enormously from his approach to building private sector support for the arts, and his belief in the power of music in building and engaging communities,” she said. Mr Ullmer joined the Board of the MSO in 2006 and was appointed Chairman in October 2015. Under his leadership the MSO has returned to a profitable financial position to underpin the future of the Orchestra,’’ she said. Beyond his Board responsibilities, Michael Ullmer has built a close working relationship with the musicians and staff of the MSO by accompanying the Orchestra on tour. He also actively participates in initiatives that bring MSO musicians, staff and Board together to understand issues around governance, management, risk and succession planning.